American’s love their cars. They write songs about them, name them, and treat them like precious treasures. Automobiles are classified as everything from rugged work vehicles to status symbols. Cars have been a part of the American lifestyle since their invention. Originally, cars were only available for the very wealthy. It was a sign of status long before they were produced as work vehicles. You had to have considerable funds to afford a vehicle. This was applicable for businesses as well. You had to be a successful business in order to afford vehicles. Even as vehicles were mass-produced in the beginning, it was far more common for businesses to own them than individuals. It did not take long however, for the automobile to be manufactured so that not just the upper class and businesses could afford to purchase them. It became a sign of upper middle class, then middle class, to have a vehicle. It soon became the norm, that the type of vehicle you drove was used as a status symbol. Eventually, even people who were below the federal poverty guidelines could afford a vehicle. Automobiles became something that everyone had access to, albeit not everyone could afford to have and maintain properly. However, the majority of people within the United States have the ability to own a vehicle and in many cases, they are necessary in order for people to be able to function. Stores are no longer located on every corner or within a few streets, in many cities public transportation is not effective enough to be able to accommodate the volume of people, or the locations that people need to access. Recent years however, have seen a drop in the number of cars that people have, as well as the number of miles driven. At one point in time, the increase in driving was a good indication of the level of the economy. The better the economy, the more people were out on the roads, and the more miles they traveled. As the economy suffered a recession, the number of vehicles on the road dropped and the number of miles driven per person declined. Even with declines in certain areas, America still has the largest % of the population that spends its hard earned dollars on custom modifications or additions for its vehicles. In addition, America restores more vehicles per population than any other country in the world. Even through the recent economic downturn, a vast number of American’s spent their disposable income on car care and improvement, the US has more TV shows dedicated to the automobile than any other country in the world. Even with used car prices at their highest level ever, America is still obsessed with ensuring that the vehicles that they drive are somehow unique to those that their friends and neighbors drive. This is easily represented by America leading the way with aftermarket cell phone/mobile phone integration into vehicles. With the economy strengthening month after month, 2014 is shaping up to be a great year for new car sales, with many companies reporting the 4th quarter of 2013 as the strongest in years. This will see a greater number of used vehicles being traded in or sold privately and this is great news for the market in general. Losing your car keys can be highly inconvenient, and become highly expensive. In fact, lost car keys and being locked out from your car is more expensive than your car breaking down. Many people lost their car keys repeatedly, and deal with expensive new sets of keys. But what can you do to avoid the expense of buying new sets of car keys? The best thing to avoid the expense of car keys replacement is not losing them. But according to some people who conducted a recent survey, almost 265 drivers have experienced lost car keys. According to Lloyds TBS Car Insurance research, 1 in 20 drivers who have lost their car keys are victim of key theft. In those people who have lost their car keys, 1 out of 5 has misplaced their keys at work, 15% lost their car keys in a shopping trip, and 13% lost their keys while visiting their friends’ and relatives’ place. Among those drivers with stolen car keys, 195 of them were taken from their bags, and 2 out of 10 were swiped from the inside of their car. In case, you have lost you car keys and even after searching everywhere you cannot find it, you might need to call your car dealer. However, the disadvantage of calling your car dealer to replace your lost car keys is the cost. Replacing your lost car key can be pretty expensive, and it also takes time. You may be forced to leave your care on your garage for up two weeks. On the other hand, if you call auto locksmith professionals, you can be sure that you can enter your car quickly. Auto locksmith professionals can arrive at your place or wherever you are after calling them. Just in case you are in this situation, just call the top auto locksmith professionals in your area to help you get back on the road in less than an hour. Auto locksmith specialist will arrive at your place fully equipped with the instruments required to open your car, to cut a new key, and recode the key based on your car model. Probably, the best way to retrace you lost car key is to retrace the places where you have gone for the past days. But if you cannot find your car keys and you cannot live without using your vehicle, you can give an auto locksmith a call to get your car a new key. However, if you are one of those who are skeptical to dealing with auto locksmiths, you can always call your car dealer. However, bear in mind that calling your car dealer about your lost car keys can cost you more than hiring the service of an auto locksmith professional. 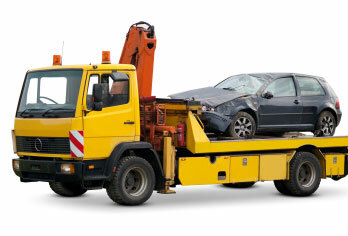 The towing cost and the burden of not having car insurance can add to the expense of replacing your lost car key. So, whenever you lost your car keys, all you need to do is call auto locksmith and you’ll be back on the road in less than an hour. As with recycling you used aluminum and steel cans, newspapers and glass, recycling your scrap car or truck is an economically viable and ecologically friendly way to dispose of your unwanted vehicles. The majority of your old automobile is reusable iron, steel, aluminum, and in many cases, plastics. Recycling these materials can makes a sizable dent in the labor and manufacturing costs of new vehicles, while drastically reducing the amount of facory waste and pollution. Leakign fluids and fuels from unused cars sitting in a junkyard can seep into the groundwater system, cause de-vegetation and widespread contamination. Help keep Melbourne beautiful and safe by recycling your used automobile. Car owners looking to responsibly dispose of their unwanted automobiles should investigate companies such as Haraza Car Removal, which encourage responsible disposal of your used auto by maintaining a recycling program. As well as making an environmentally sound decision, you also have the opportunity to be paid for the removal of that unwanted auto. This enables your old car to be reused and fabricated into new parts and appliances, while contributing to the economic welfare of Melbourne in general. More money in your pocket means more growth for Melbourne! The process of recycling your old car is much easier than you would think. There are no forms to fill out, no hoops or red tape. Simply call Haraza Car Removal for a free quote, respond with some basic information about the make, model and condition of the vehicle, and we can send a professional out to you for immediate estimate and removal. The experts at Haraza Car Removal can answer any questions you may have about the recycling process, as well as how much you can expect to receive for your used car. Recycling your used automobiles helps to regulate the production of greenhouse gases, and decreases the use of non-renewable fossil fuels, and promotes responsible consumerism. The experts at Haraza Car Removal are professional and courteous, with more than a decade of proven professional conduct in the Melbourne community. When you recycle your used auto, they will painstakingly disassemble and catalogue the parts of your car. Parts that can be refurbished and reused will be professionally restored and resold at a minimum premium, to keep costs low for our local drivers. Unusable parts can be melted down and reused as scrap, enabling new production from recycled materials, ensuring a lower level of pollution and a healthier environment. The tyres are also either reused, or if not viable, melted down for reuse. Call the experts at Haraza Car Removal for a free quote, and do the environment, the Melbourne economy, and your pocketbook at favor! Call 0409 145 434 to get started!